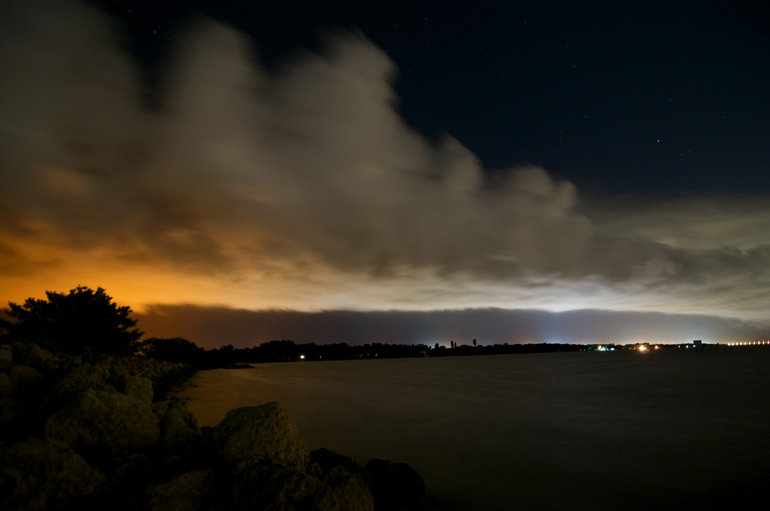 Heading home from work late Wednesday night, I noticed a clearly defined line of clouds above the Indian River and southern Merritt Island. I made a U-turn and drove over the Pineda Causeway, just south of Rockledge, stopping along the way to snap a few photos of this shelf cloud. There was little lightning, but it was still cool to see this at night. 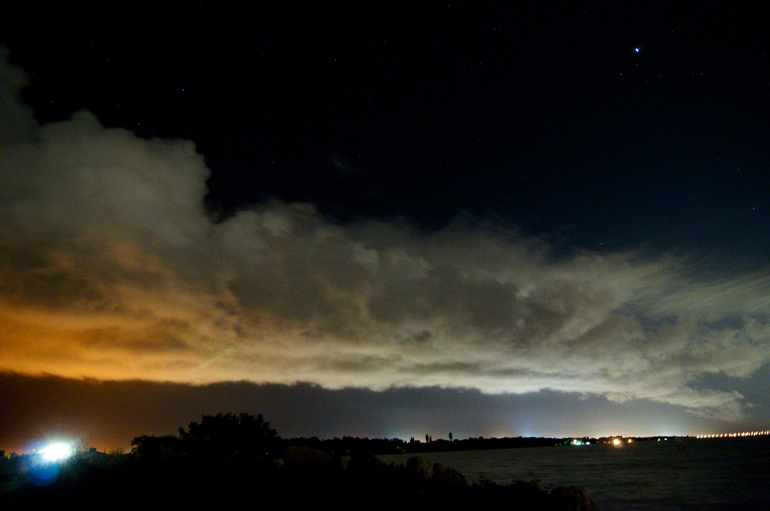 This is looking to the northeast, near Merritt Island and Patrick Air Force Base. 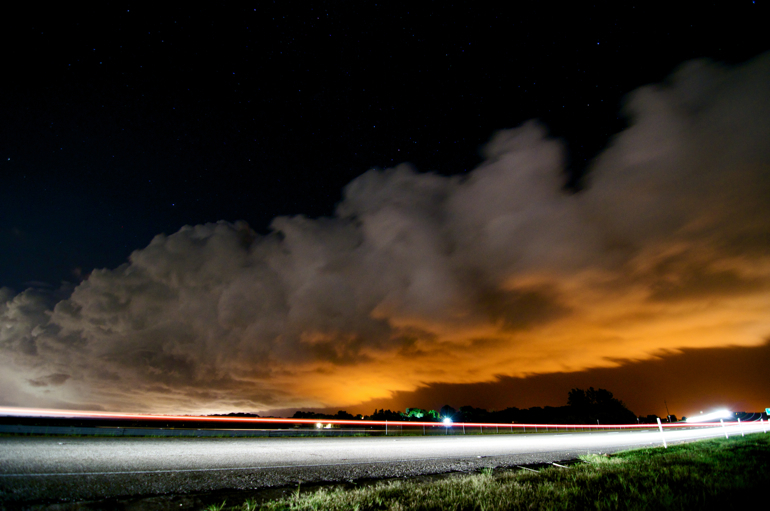 Clouds at night, when not naturally lit by lightning, are difficult to photograph. I relied on the lights of Satellite Beach and Patrick Air Force Base, which weren't ideal. The shutter was open for a while in this photo, blurring the clouds a bit. To get more detail and less motion in the clouds, I increased the ISO setting on the camera, which is pretty much a no-no at nighttime. You end up with a very grainy, noisy photo such as the one above. Still, it does show more detail in the clouds. A cool sight to see at an unexpected time. Elsewhere: While I was more underneath the cloud as it moved away, Chris Kridler, a co-worker at FLORIDA TODAY, got some sweet shots earlier as it approached.